Mike Mignola’s Hellboy comic book universe is joining the Funko family with a new Hellboy Pop! Comics Series! With the recent announcement that a new Hellboy movie is in the works, it’s the perfect time for some seriously epic new officially licensed Hellboy toys. The Hellboy Pop! Series 1 includes Hellboy, vigilante Lobster Johnson, pyrokinetic Liz Sherman, and fish-man Abe Sapien. 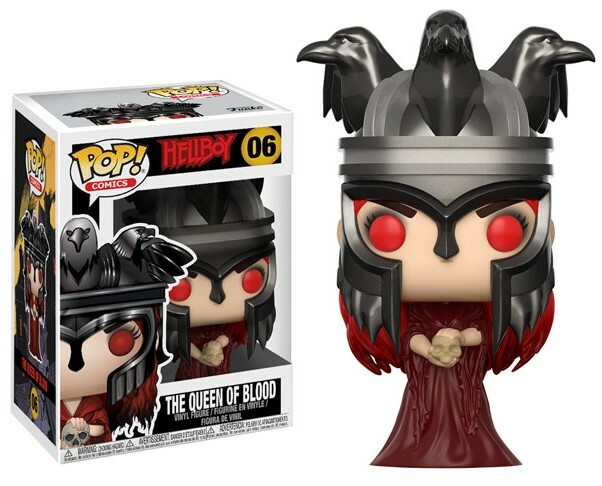 This release also includes villains Grigori Rasputin and The Queen of Blood, Nimue! Hellboy even has a super rare 1 in 6 chase variant of Hellboy with Horns. 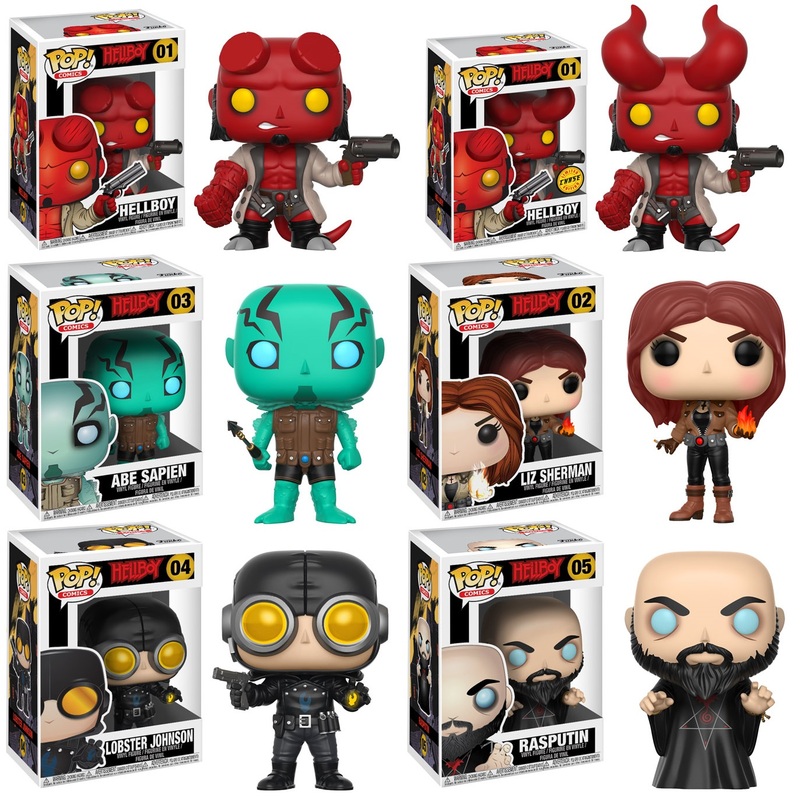 Each Hellboy Pop! vinyl figure stand 3.75” tall, features one point of articulation and come packaged in a full color displayable window box. All six figures can be pre-ordered now at Entertainment Earth for $10.99 each here.